ORTOVOX stands for protection. Characterized by its alpine origins, ORTOVOX has been developing emergency products since it was founded in 1980. The correct equipment is essential in both summer and winter, and can save lives in the event of an emergency. 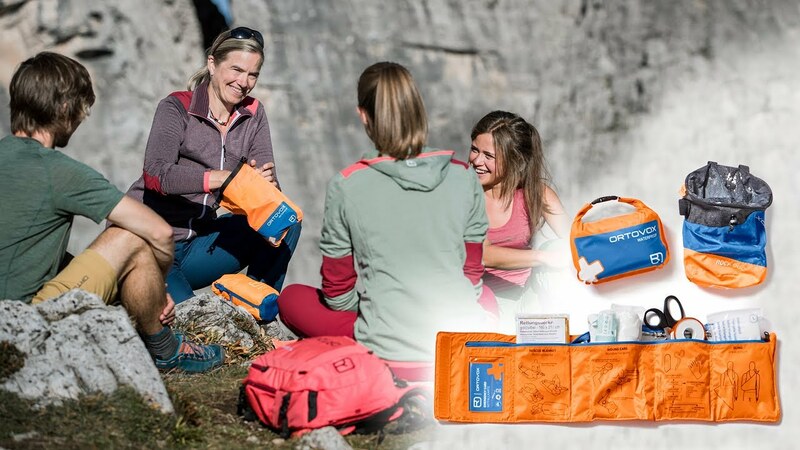 With our compact FIRST AID ROLL DOC MID kit you will be perfectly equipped on the mountain: The kit contents are neatly divided between four compartments. From the rescue blanket to compresses right through to scissors – in our FIRST AID ROLL DOC MID you will find all the important tools for delivering first aid. Illustrations and captions provide information on the contents of each compartment and the correct first aid tips. In the first compartment you will also find our ORTOVOX emergency card. This provides the first aider with basic information for contacting emergency services, for making emergency calls as well as information about the accident victim. Allergies, illnesses, contact details and personal details are all listed on the emergency card.